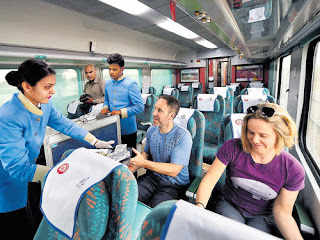 Same day Agra tour from Delhi has become easier since The Gatimaan Express train has been introduced, which starts from Delhi (Hazrat Nizamuddin railway Station) at 08:10 Hrs and reaches Agra (Agra Cantonment railway stations) at 09.50 hrs. In the evening train departs from Agra (Agra Cantonment railway stations) at 17:50 hrs and arrives Delhi (Hazrat Nizamuddin railway Station) at 19:30 hrs. This train takes 100 minutes to cover 200 km distance between Delhi and Agra at an average speed as 113 km/h. Breakfast & Dinner is served on board during journey. 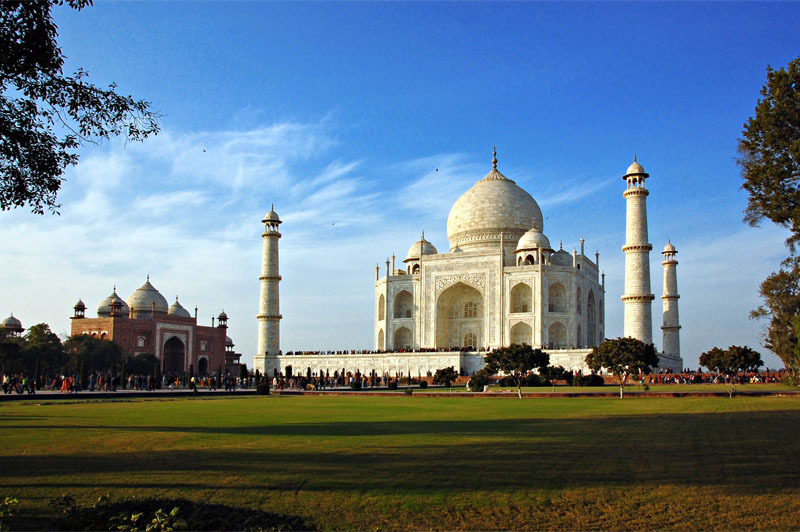 The major attraction of the trip is the Taj Mahal in Agra. Train timings suit every traveler or day trippers making it more attractive. Agra sightseeing tour includes visit to the Agra fort and Fatehpur sikri also as they are the masterpiece of Mughal art and architecture. Making it in same dayreturn from Delhi is the most interesting way to cover Taj Mahal, Agra Fort and Fatehpur Sikri. One can also chose to go by car as express highway between Delhi & Agra is realy good. 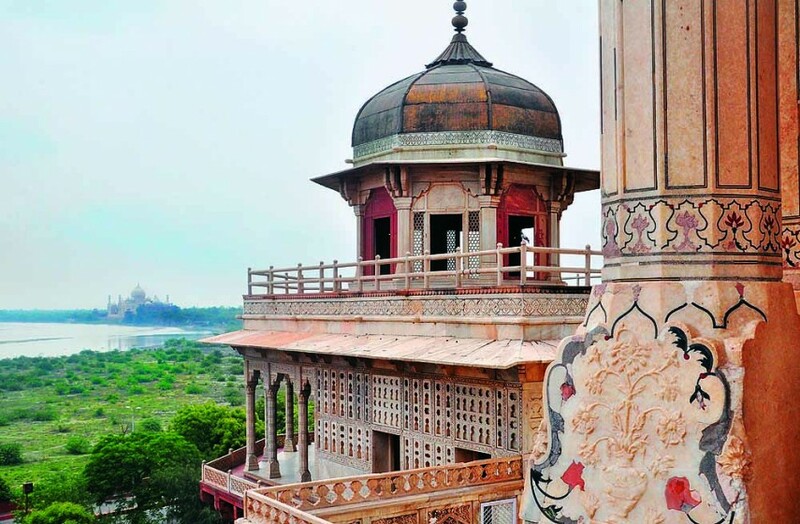 It takes only 3 to 4 hours to reach Agra from Delhi including a break halfway through. There are many trains operate between Delhi and Agra but not as fast as Gatimaan does. Day trippers are frequented on this trip just to see none other then one of the most beautiful masterpieces of Mughal architecture, the Taj Mahal. It is UNESCO world's heritage site and also listed in one of the Seven Wonders of the World. Taj Mahal is an iconic monument of India, one must not miss to visit when in India. Taj Mahal was built in white marble by Mughal emperor Shah Jehan. Taj Mahal is a mausoleum dedicated to his beloved wife Mumtaz Mahal. It took emperor twenty two years to finish the construction of Taj Mahal. The finest & skilled artisans inlaid the white marble edifice with precious stones and conjured up lacy stone screens around the cenotaphs of the emperor and his beloved. Apart from the visit of Taj, there are also two most prominent historical monuments to visit in Agra such as Agra Fort and Fatehpur Sikri. 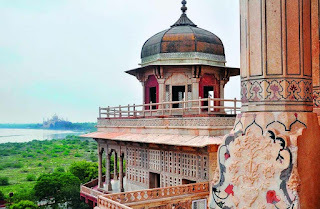 Fatehpur Sikri is 40 km away from Agra, the abounded city Fatehpur Sikri, was planned as a great town by Akbar with great care and planning in the honor of Sheikh Salim Chisti but had to be abandoned only after fifteen years due to scarcity of water in the town. We are offering to you Sunrise Taj Mahal Tour From Delhi. You might have seen Taj Mahal, but have you seen Taj Mahal at sunrise. So plan your holiday and experience the beautiful vision of Taj Mahal.. Such a fantastic post and article! Thanks a lot to share this information.. If you are hurry to see the Taj Mahal then book a trip with same day taj mahal tour by train is the best option to go there and see the beauty of Taj Mahal.